A415: What did you think about our Brahms concert? The reviews are in and boy are they mixed. Music director Nicholas McGegan prefaced the concert with a few words about the attempts at the historical accuracy on display... All very interesting, but the real test came in performance. And nothing affirmed the power of this approach like the splendid performance of the Serenade No. 1 in D that occupied the first half of the program... Avoiding the sleek, sometimes impersonal quality that can often seep into modern renditions, [McGegan] embraced every opportunity to give the music a musky physicality - especially in the outer movements, whose rhythmic force was arresting. Were Johannes Brahms alive to coach today's players, what instructions would he give them? How would he want his music to sound? Not the way it sounded Thursday, when conductor Nicholas McGegan and the Philharmonia Baroque Orchestra unveiled their much-ballyhooed all-Brahms program... It was one strange concert, beginning with an almost stupendously inept performance of Brahms' infrequently played Serenade No. 1 in D major... At its base line, the concert was plain uncomfortable... The orchestra sounded like a country band, raucously out of tune, with broadly sliding strings and elephantine mishaps in the winds and horns. Both Michelle Dulak Thomson and Stephen Smoliar wrote insightful commentary on our little experiment. However, the purpose of this blog is to ask: What did you think? Post your comments here or on Yelp.com. 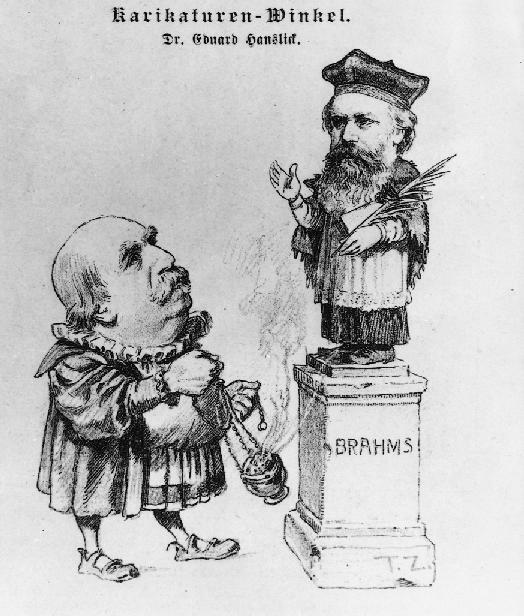 Did we do Brahms tribute or detriment?